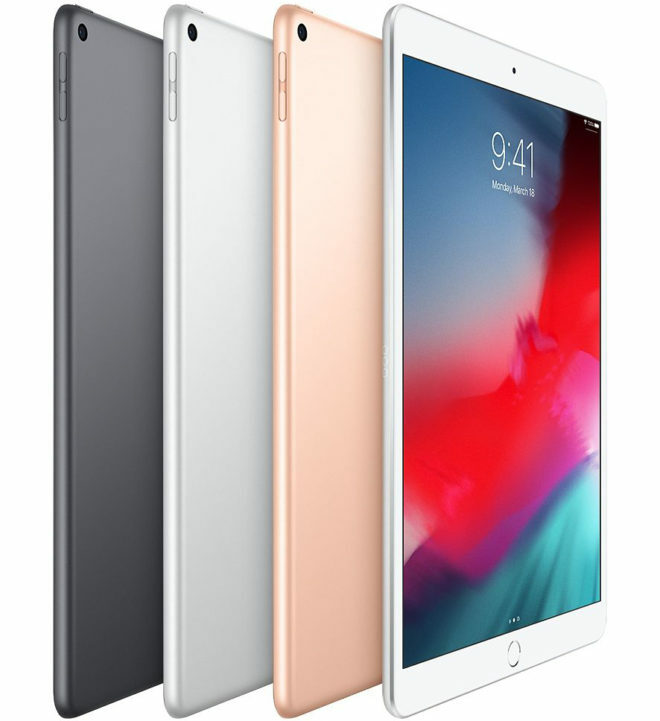 After confirming yesterday that T-Mobile will sell Apple’s new iPad Air and iPad mini models, I’ve now got more precise launch and pricing information for you. T-Mobile will begin taking orders for the new iPad Air and iPad mini this Friday, March 22nd, at 6:00 am PT. Both models will be available in select T-Mo stores on March 26th if you prefer to buy your new tablet that way. As for pricing, the 10.5-inch iPad Air will start at $29.99 down and $25 per month for 24 months ($629.99 full retail price) for the 64GB Wi-Fi + Cellular model, while the 256GB Wi-Fi + Cellular version will cost $59.99 down and $30 per month for 24 months ($779.99 FRP). The smaller 7.9-inch iPad mini will start at $25.99 down and $21 per month for 24 months ($529.99 FRP) for the 64GB Wi-Fi + Cellular version and will go up to $31.99 down and $27 per month for 24 months ($679.99 FRP) for the 256GB Wi-Fi + Cellular model. Customers who purchase a new iPad Air or iPad mini can add it to their T-Mobile One plan for $20 per line per month. That includes unlimited high-speed data, texting, and 3G tethering. As a refresher, these new iPad models come with Apple’s A12 Bionic processor, a Touch ID fingerprint reader, and support for the first generation Apple Pencil stylus. The iPad Air is equipped with a 10.5-inch 2224×1668 display, while the iPad mini has a 7.9-inch 2048×1536 screen. The cellular models include support for T-Mobile LTE Bands 2, 4, 5, 12, 66, and 71. Now that we’ve got pricing and availability info for Apple’s new iPad models, are you thinking about buying one? If so, which device do you have your eye on? Agreed, especially since the Air, only supports the first gen pen and it’s not even included.. $99 extra. Unless something has changed in the last 2 years when I worked for T-Mo, I would have to say most likely no. There is a difference between a phone line and a tablet line. I know there is some phones that work on a tablet line but I do not believe there is any tablets that work on a phone line. Only way to know for sure, would be to find a T-Mo tablet and give it a try. I have a free “phone” line too (actually have a few). It was converted to a tablet line and it’s currently being used with my Apple tablet. The rep who did the conversion said it could be converted back to a phone line if I decided that I didn’t want to use it as a tablet line again. With regards to placing your phone’s sim card into a tablet, I have done that a few times and was able to use the data from the sim. Hell, I currently have a phone sim card in the free T-Mobile Alcatel tab that I got, and the data is working on it. It works the same as far as I can tell. I’ve swapped my tablet and phone sim cards in the past with no issues. The phone worked using the tablet “phone number” (every sim card is assigned a phone number). There was no way to tell the difference between the 2 sim cards. The only catch is that my phone line has more data than my tablet line. I don’t see the advantage of buying from a carrier… Is it a financing thing? I don’t see the appeal either. You could just as easily finance via, say, Best Buy and you wouldn’t even need to pay anything down. What happened to JUMP pricing? I ended up getting the 256GB Galaxy Tab S4 Wi-Fi version. The S-Pen is included and has an AMOLED display.